The River Medina lies in a wide shallow valley bordered by mudflats and areas of saltmarsh which are essential to the estuary’s ecosystem. Saltmarshes are important resting and feeding sites for birds throughout the tidal cycle from late October to early March and provide a safe haven for young birds in summer. The saltmarsh contains rare and vulnerable plants and provides important nutrients for wildlife. The estuary’s mud is also crammed full of tiny creatures, marine worms and snails which provide a rich food source for resident and visiting waterbirds. The estuary is also full of fish, and cormorants can be seen all year diving underwater to feed. In winter they are joined by little grebes, goldeneye, and in summer months by the spectacular terns. Cowes Harbour Commission (CHC) continues to work as a funding member of the Isle of Wight Estuaries Project, a partnership between CHC, Environment Agency, Isle of Wight Council, Natural England, and Yarmouth Harbour Commissioners. 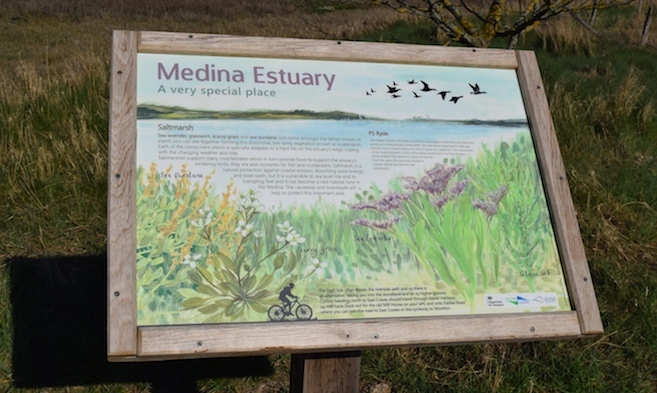 The partnership encourages the integrated and sustainable use of the Medina estuary and develops understanding of estuarine features and processes. It works together on projects that aim to balance the responsibility for the environment with the commercial and leisure demands on the harbour and estuary. CHC is a competent authority and a relevant authority as set out in Regulation 6 of the Conservation of Species and Habitats Regulations 2010. This means that CHC has responsibilities for the sites that are designated for nature conservation within and, to some extent, adjacent to its jurisdiction. 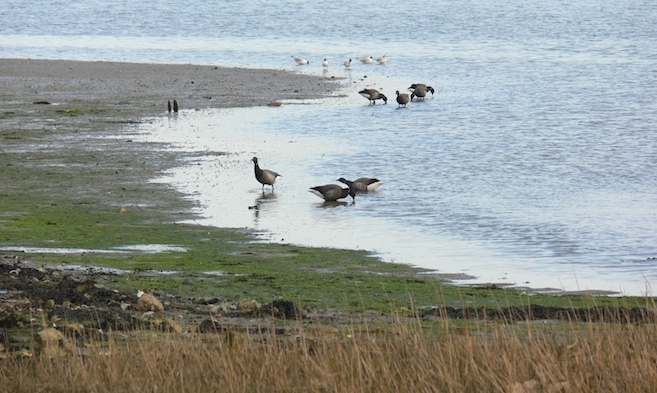 There are two marine protected areas with components within CHC’s jurisdiction: ‘The Solent & Southampton Water Special Protection Area (SPA) / Ramsar’ (which recognises the importance of the intertidal and estuarine areas for overwintering and breeding waterfowl) and, ‘The Solent Maritime Special Area of Conservation (SAC)’, which forms a complex of interlinked sites of importance for a range of marine, coastal and maritime habitats. The Management Scheme for the Solent sites is referred to as the ‘Solent European Marine Sites’ (or SEMS) Management Scheme. As a relevant authority, CHC is part of the management group with the secretariat being provided by the Solent Forum (a Coastal Partnership). CHC has to monitor activity within its jurisdiction and report back to the management group. The group then looks at any potentially damaging activities, either new or increasing, and if necessary refers them to the SEMS Natural Environment Group to develop management measures. Aside from any regulations, CHC is keen to see the quality of our local environment maintained and enhanced so that it can be enjoyed for many years to come. There is a relatively small amount of saltmarsh habitat in the Medina Estuary, but it is a very important feature of the designated European site. The annual photographic monitoring we carry out will give early indications of any possible negative change that might require management. The monitoring looks at the composition and extent of marsh vegetation in relation to the monitoring posts and also notes any change in the level of the bank. The annual results are reviewed every five years, with the first review later this year. Throughout 2016 CHC has continued to work with the Isle of Wight Estuaries Project on ongoing projects such as the high water wader roost site at Chawton. The site is managed by the Hampshire and Isle of Wight Wildlife Trust and the works follow a seven-year plan to improve the area for the use of the estuary’s visiting and resident birds and other wildlife. The Commission has worked with the Estuaries Project and looked at the changes to the MMO (Marine Management Organisation) licensing requirements for maintenance dredging. CHC had previously developed the Baseline Document for the Medina Estuary, which meets the assessment requirements under the Habitats Directive and benefits those who wish to apply for a dredging licence. CHC has set up a new licence system that will reduce costs and paperwork and also ensure that the necessary information is available to update the Medina Baseline Document in due course. See also 'Estuary Sedimentation Management'. 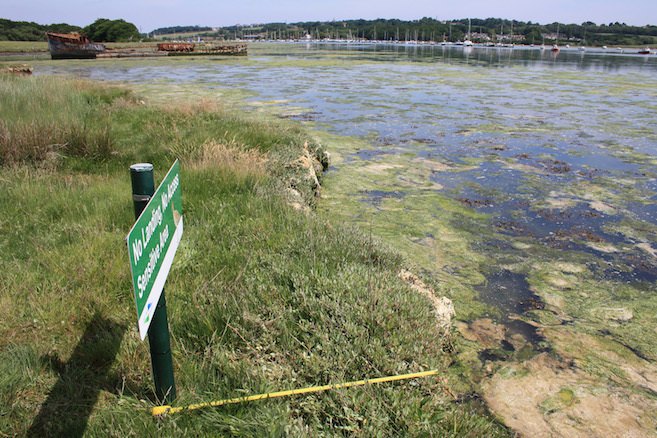 CHC has been working in partnership with the Isle of Wight Estuaries Project, the Environment Agency and The Green Blue to gather information about water quality and sewage discharges into the estuary. CHC has also continued to support The Green Blue with its "Love where you Sail" project, which encourages recreational users to conserve the quality of the places they live and visit. The Environment Agency has been gathering data on diffuse pollution sources and continues to work towards a long-term solution to water quality issues. By working in partnership, CHC hopes to influence and assist the regulatory bodies to improve water quality in the Medina. Cowes Harbour stakeholders can play a key role by helping to report any incidents of pollution through the Environment Agency’s incident hotline number 0800 80 70 60, which is open 24/7. This will ensure that incidents are recorded systematically and any problem areas can then be identified. CHC is also supporting the work to upgrade the footpath from Island Harbour to East Cowes to make it suitable for a wider range of users and help to improve the link between the communities of East Cowes and Newport. 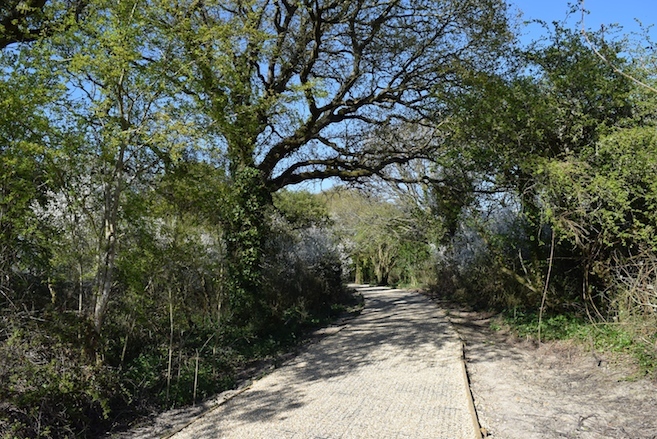 Previous work has delivered improvements to the path south from Island Harbour to Newport, which is now an attractive ‘Greenway’ for shared use.